“Yesterday (6th August, 2013), I found myself thinking about all the seeds our friends, well-wishers and supporters has sown down through the years. The CanAssist African Relief Trust family have given an enormous amount of money to help hurting children of Usare Village, Mbita District, Kenya. There’s no telling how many lives we have touched through your infrastructural support. Beyond that, for nearly half a decade, Hope School has been a lighthouse, not only to our own community but beaming a message of hope and encouragement to people all over the world as it provides an opportunity to lend a helping hand of caring for the poor. 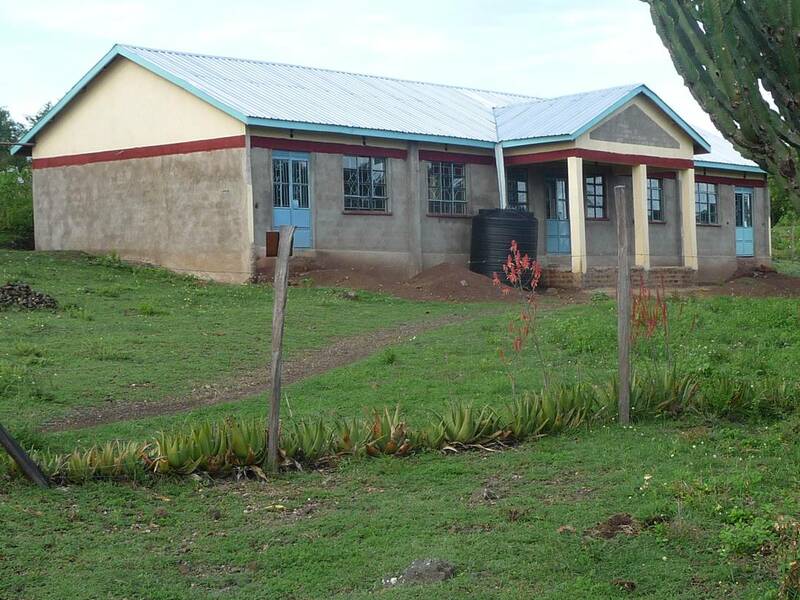 In 2012, the CanAssist African Relief Trust partnered with Kennedy and the ETDC organization in Mbita Kenya to help them with development of a school for vulnerable young children in their community. The school is called HOPE SCHOOL. 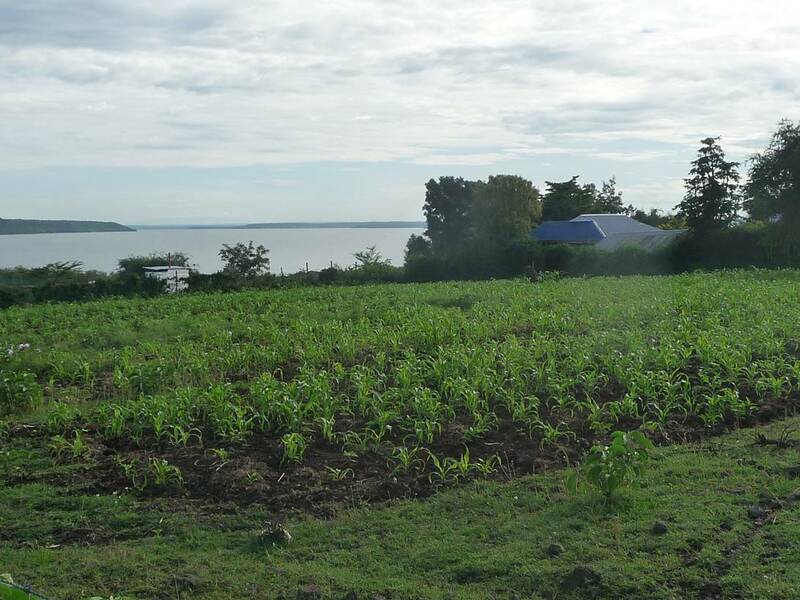 Our first project with them was to fence and irrigate a garden at their rural school property. The school said that they would name this garden The Oasis of Hope. It has turned out to be just that. In Africa latrines are hand dug, often to a depth of 40 feet, through sand, gravel and stone. A long labour-intensive job. Later in the year with significant help from CanAssist donors and donations to CanAssist from the Sasamat Foundation in British Columbia and the Toronto Rotary Club, we were able to build two new classrooms for the school. 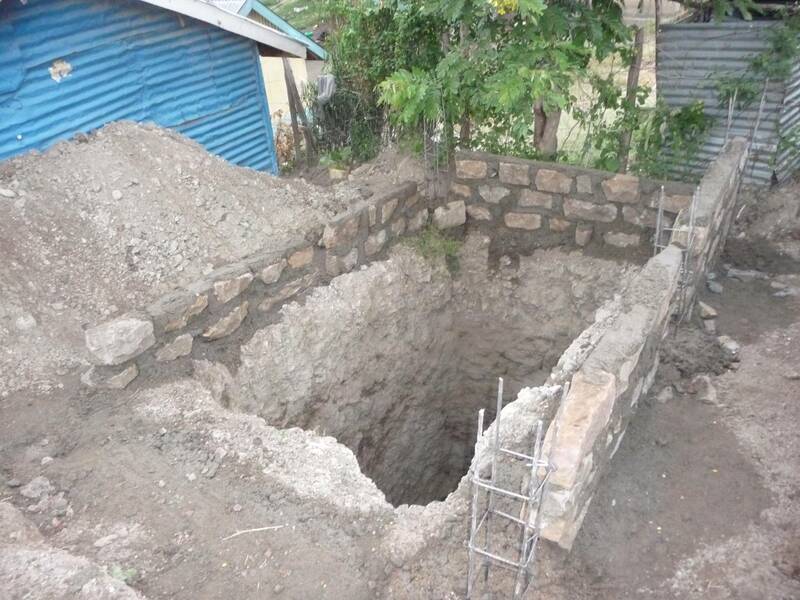 Right now we are in the process of installing latrines at the two school sites. Kennedy Onyango outside the school gate in early 2012. Along with CanAssist he was ready to “plant the seeds” of development that will help his community. 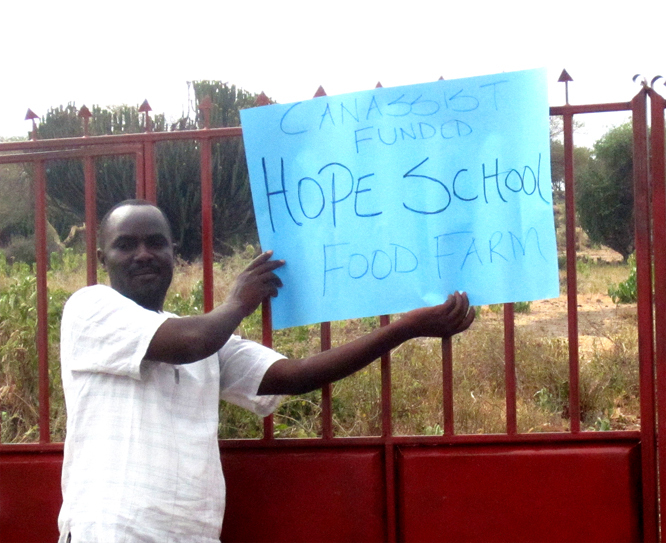 The children who attend the Hope School come from very vulnerable situations. Many are orphans or partial orphans and most live in poverty. Many come to school on an empty stomach so the bowl of sorghum and cassava or maize that the school provides may be the only sustaining nourishment the children get. Provision of a school meal has proven to be beneficial to African children and has been one of the strategies endorsed by the Millennium Village Project, initiated by Jeffrey Sachs. The prospect of receiving what may be the only meal of the day is a vital encouragement to them to attend school where they are able to receive an education.. I hope that donors to CanAssist can feel as satisfied as i do that the gifts that they give to CanAssist are being used effectively to improve the well-being of many, many people in East Africa. I am proud of the work we do and also proud of our African partners who work hard to make ensure a successful outcome for our joint projects. The Oasis of Hope garden in February 2012 and April 2013. Seeds that flourished. This entry was posted in Uncategorized and tagged Africa, CanAssist, CanAssist African Relief Trust, garden, Hope School, Kenya, Mbita, poverty, school, Sorghum by johnageddes. Bookmark the permalink.